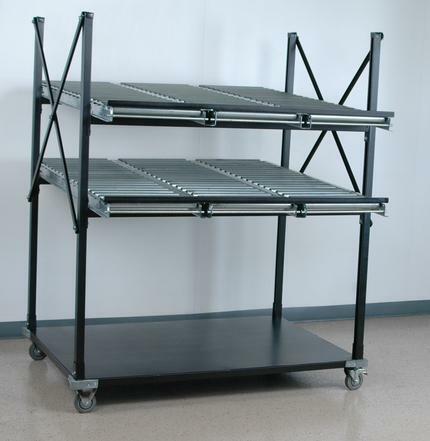 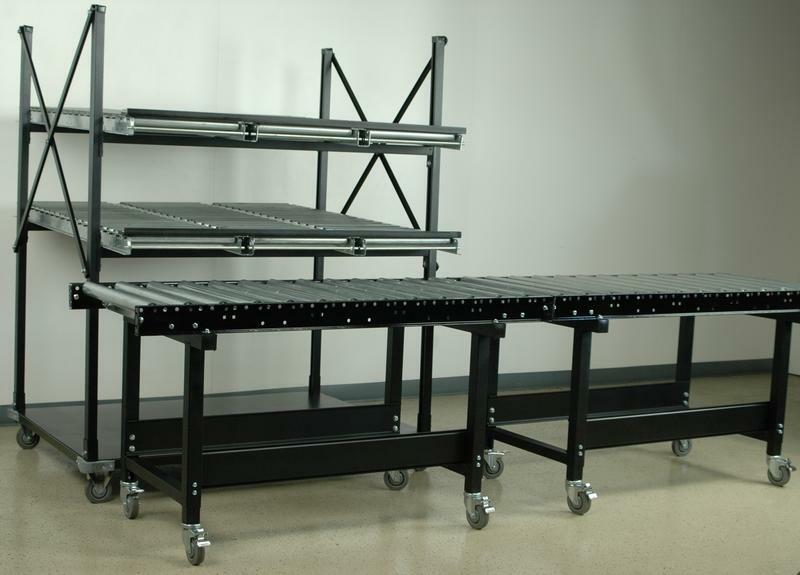 This multi-level flow rack is designed for packing and assembly environments where product inventory is stored on the roller levels above the work area and is re-stocked from the rear. 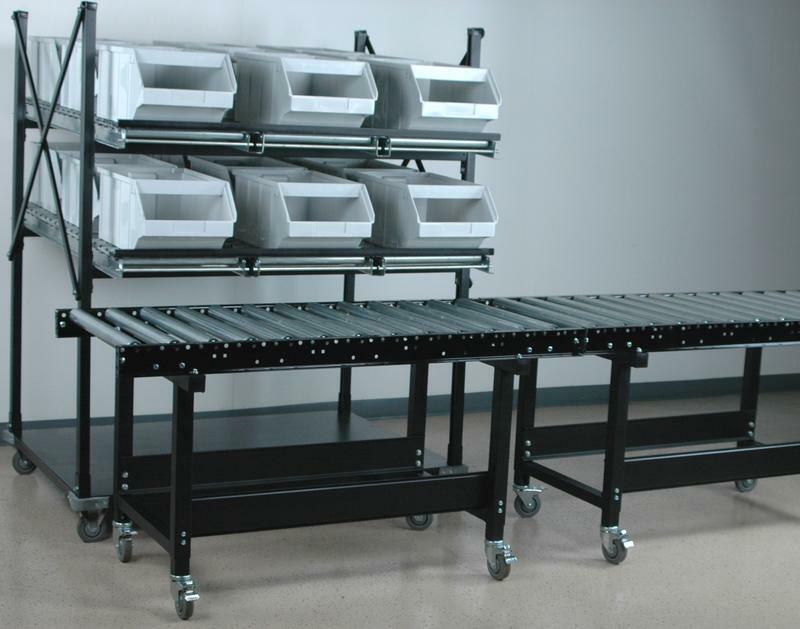 Each level is made with (3) 18" wide x 60" long conveyor sections and offers infinite height adjustment. 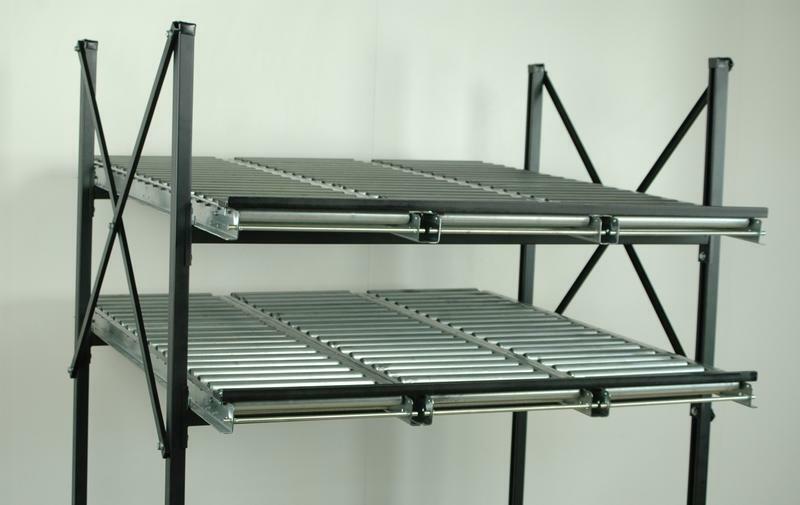 The support rails can be adjusted also to allow rollers to be flat or slightly angled for a flow rack application.